NordicTrack C990 Treadmill vs. LifeSpan 1200i - See Expert Review! A reader asked my advise on buying one of two treadmills, the Nordictrack C990 vs. the LifeSpan 1200i. Stumbled across your web site trying to find legitimate treadmill reviews. With a coupon code, the NT C990 can currently be had for only $899, and I was nearly sold on it until I stopped in a fitness store, and the manager said ICON brands do not have a good reputation for motor performance and durability. He suggested that LifeSpan (1200i or 3000i) had much higher user satisfaction, though you tend to get less features for the similar price. I don’t know if he’s just trying to get the sale, or if I should trust him. Any advice? Also, I read your disclaimer, but you aren’t paid to promote ICON over other brands I hope? Thanks for your web site and your time. As mentioned in my disclaimer, I get commissions on the majority of treadmills brands available. And that is through clicking on the merchant link and purchasing. So it allows be to be objective. Regarding what the fitness store employee said. First, he wants to sell you the brand he carries, so obviously he is going to dish a competitive brand. Regarding the motors in NordicTrack treadmills. I have never heard of a motor issue and that is why they come with lifetime warranties. I will agree that NordicTrack treadmills may not be the most durable on the market, and their customer service is not the best. However, I have owned for 4 years an earlier version of the NT C990, and have not had a single issue. I use it a few times a week. I will mention that in the last Consumer Report treadmill ratings the NordicTrack NT C990 had the highest ratings for a folding treadmill. The LifeSpan TR1200i ranked fifth. LifeSpan is a decent brand, but they are what I consider a boutique brand. With the economy of scale you are going to get more for less with a NordicTrack. 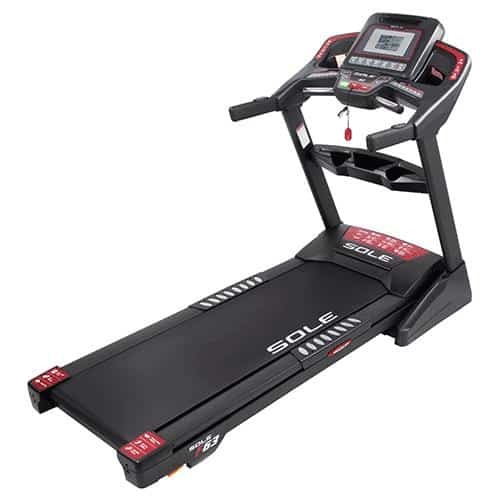 One other suggestion is the Sole F63 treadmill. It lacks bells and whistles, but Sole has an excellent reputation for durability. If the Fitness Equipment store was going to give you free delivery and set-up that is definitely a factor to consider. These machines are heavy and the free delivery offered on the Internet is typically to the curb. Bottom line. All three mentioned above are good choices. I really do not care if you purchase through my site, but would appreciate if you could Google + or FaceBook like my site.